Organic farming helps in maintaining environment health by reducing the level of pollution. It reduces human and animal health hazards by reducing the level of toxic residue in the product. Organic agriculture helps in keeping agricultural production at a higher level and makes it sustainable. It reduces the cost of agricultural production and also improves the soil health. 1. 15 kg cow/buffalo dung. 2. 15 liter cow/buffalo urine. 4. 1kg flour of any pulse. 5. 1kg soil (it must be from the root of pipal tree). Mix them all and boil it for few hours and make it cool in a shadow for 15 days. Then add 200 liter of water. Spray this in empty land before sowing seed. If crop already present in the field then spray this mix to crop. Spray it after 21 days regularly. 1. 6 times more powerful and stronger than D.A.P. 2. More earthworms are produce in the land. 3. If earthworms are in the land, ultimately soil become soft, which allow each drop of water go inside. 4. Moreover earthworm dung is the most beneficial for soil more than anything else. 5. Every earth worm works 24*7in the soil and each earthworm give birth to almost 1 lac new earthworms. 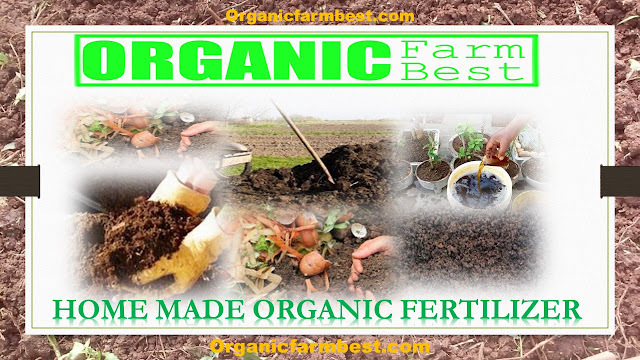 I believe going the natural way is the best thus the use of organic manures. They are not toxic thus reduce the infections caused by diseases such as ulcers,cancers that are now deadly. They are also cheap. Provide nutrients wholesomely for your crops and also improves the soil structures. Maintain the quality environment. its a good technique to grow crops, as it create no cost but healthy crops and more profit.